Welcome to the Deliberate Motherhood series! If this is your first post, you can see the rest of them here. There are 12 Powers that help bring peace, order, and joy to mothering. We're focusing on one each month. You don't need a book to join the discussion- I'd love to hear your thoughts on each issue. But if you want one, you can order it here. THE POWER OF INDIVIDUALITY When I got married, my mom gave me a book- one of those fill-in-the-blank books where she told me all about her, my dad, how they met, what she learned in the early years of marriage and motherhood, and so on. One of the pieces of advice that stuck out to me was when she said "Be yourself- and don't lose your identity. Don't lose Valerie!" Thirteen years later, I think about that- particularly as it pertains to motherhood. I've had many roles in my adult life, and one of my favorites is being "Mommy". But as all mothers know, being "Mommy" means sacrifice, in many different forms. The big question is: does it have to? Are we sacrificing things, not because we really need to, but because we somehow feel like we should? Do we have to give up pursuing our talents, demonstrating our passions, spending time with our friends, eating before our food gets cold, going to the bathroom alone? More often than we would think, the answer is a resounding "no"! As April Perry so vividly reminds us, "Mommy is a person too!" Certainly there are stages and seasons of life where some things do have to fall lower on the priority list. We gladly give up sleep (though it isn't necessarily enjoyable) to soothe our newborns. Needy toddlers can't wait to be served as well as older children can.We spend time tutoring our children so they can succeed at math instead of watching our favorite TV shows. But let's admit it- your husband can hold the baby while you shower (or a bouncy seat can do the job as well!) A babysitter you trust can give you time away. You can teach your family to let you eat before plying you with requests. Even better, our children would benefit from seeing their mom as a person with actual interests, hearing about the subjects and topics that excite and interest us, and learning from our example that women can pursue education, talents, and careers while being wonderful mothers! I am a musician. I started playing the piano in kindergarten, the flute in fifth grade, and have never really looked back. I majored in music education in college, was in the marching band, and was a high school band teacher for five years. 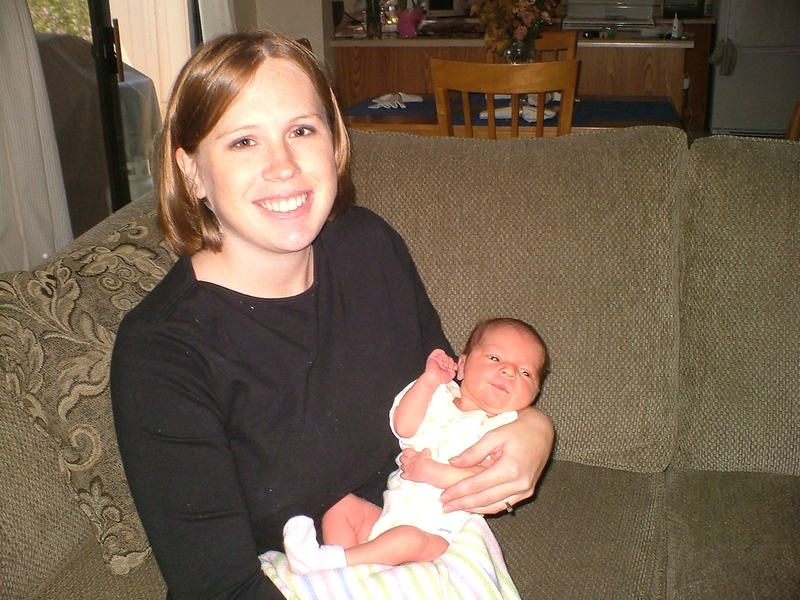 When I had my first child, I left my teaching days behind for two reasons: first, I had always wanted to be home with my babies, and second, because I knew there was no way I could be the mother I wanted to be, and be the committed band director my students needed. I left behind 12-16 hour days so that someone else could give them what they needed without being distracted by a longing for home and family. Somehow, along the way, my pursuit of music also fell by the wayside. It was too difficult to play the piano with sleeping babies and toddlers, and when they were awake I would be frustrated with their "helpful" banging of the keys as I attempted to play. As for my flute? The high sounds caused crying or startled my babies, and as they became toddlers they would try to grab something that was delicate and expensive! My musical talent was relegated to occasionally playing the piano at church, and once or twice a year being asked to perform on the flute. As with most talents, in playing an instrument, it's use-it-or-lose-it. My low point came a while ago when I performed for my church group on my flute, and had so little muscle control that I couldn't play a note that would have been cake at my flute-playing height! I went home and cried and cried. What was the point of all those years, all those hundreds of hours of practice, if I could barely play a simple church song? Then I realized: my children are older. There is no reason I can't pull out my music and practice- just for fun. Maybe my children would like to hear me play! Maybe it would inspire one of them to play a musical instrument! Being a flutist is truly a part of me, one that I don't want to give up. Because of my husband's responsibilities at church (he's a bishop) I don't have a lot of time to play outside of my home, but I know when the time is right, I can join that orchestra or flute choir. My children will survive without me for a few hours, and I will feel better about myself. This month's goal: identify the areas where you are needlessly sacrificing YOU. What is something you can do to celebrate your individuality as a person and as a mother? How can you share your passions and interests with your children? Join the conversation- what are some ways we can regain our sense of selves when we are still busy moms? What works for you? Or, what do you struggle with? Exactly! 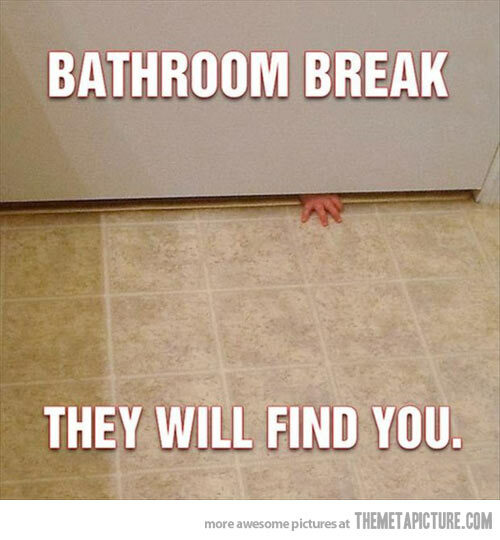 I so relate to that picture though- they do find you! So funny. I've loved April Perry's "Mommy is a Person too" Thanks for sharing! Such a great post!! And I love that BYU marching band picture! Ha. 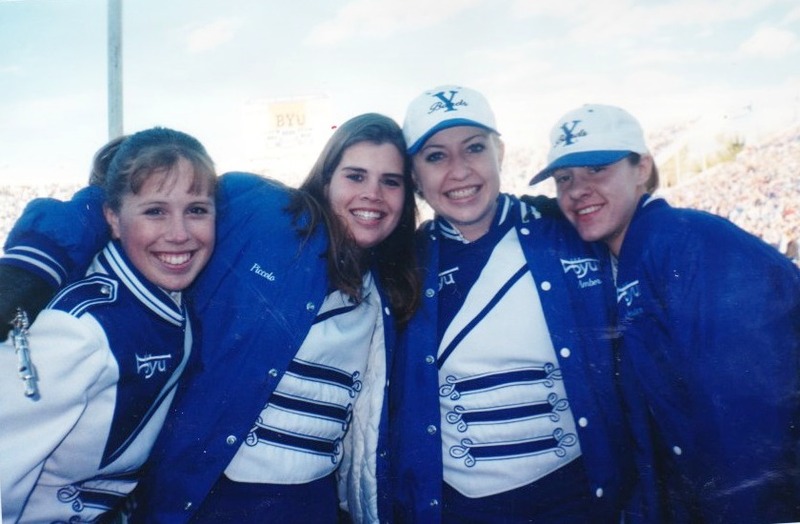 I did marching band at BYU too, though more recently than you. Unfortunately, I don't even own a French horn or a piano, so it's definitely hard to stay up on my musical talent.